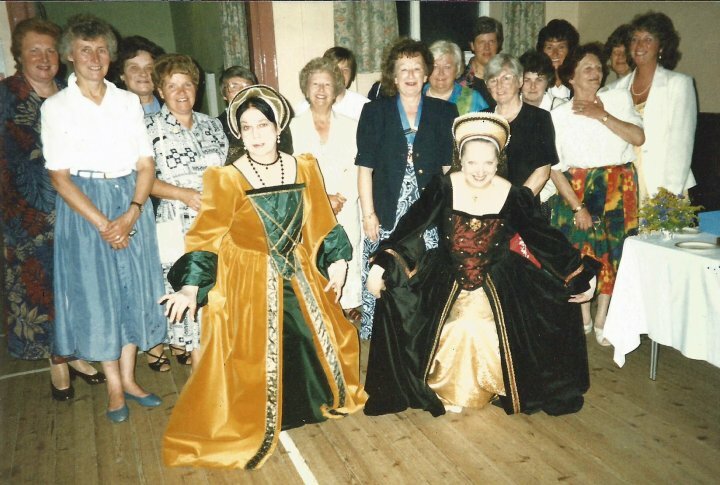 In July 1997, Soroptimist International (SI) organised an Evening of Tudor Music and Readings “Pastimes with Good Company” in St Mary’s Church which was followed by a wine and cheese party in the Church Hall. With SI President Mary Passmore (centre) were many members of the club, among them Helen Dibble and Margaret Scott, and the two artistes Jenny Goldsmith and Stella Searson (front). Thanks to Mary Passmore for this photograph.